Welcome to Red Arrow Corp. Contracting Division! We are a construction and development firm that specializes in restoration/renovation and new construction projects. Red Arrow Corp. Contracting professionals has provided businesses and individuals with superior building services for over 10 years. We are pleased that many of our clients return to us for assistance with there demanding projects. Whether you're planning to build a new home, or restore/renovate a property, our team of builders/craftsmen are available to help you achieve your building objectives. We also offer design services for clients who require design assistance or guidance. Our Craftsmanship warranty is a lifetime warranty that is transferable and protects against faulty workmanship and or installation. Please choose the service of which you are interested or for free quotes and or Q&A please feel free to contact us directly. Red Arrow Corp. covers the Ohio Valley region and the surrounding outlying areas. Our services range from the smallest residential roofing repair to the largest commercial roofing installation. We are a family owned and operated fully insured roofing company. When you call Red Arrow Roofing you have a direct link to the owner. Red Arrow Corp. is committed to your satisfaction. We use only the highest quality materials available. The team at Allied Roofing is recognized as an innovative leader in our industry. We will consistently provide our valued customers with the best products and services available. Red Arrow Corp. Roofing is committed to customer satisfaction through continuous improvement of all tasks performed, products supplied, and services offered. Leadership, integrity, trust, teamwork, and respect for all individuals will be our guides as we strive together to improve our business, our communities, and ourselves. We are recognized as having attained regulatory compliance. We must ensure customer satisfaction and safety. We must be a profitable, low cost provider of roofing services without sacrificing quality products or quality work. We must attract, develop, and retain an empowered work force. We are committed to a process of continuous improvement. Produce high quality projects for our valued residential and commercial customers at a competitive price without losing sight of our commitment to quality. At the completion of all projects, a thorough inspection is performed to guarantee that our workmanship will meet or exceed our lifetime warranty. Red Arrow Corp. understands maintaining or improving the outside of your home adds beauty, curb appeal and can provide a good return on investment. Whether new construction or remodel Red Arrow’s skilled craftsman and representative will work with you to help decide the best color and style of siding for your home. Depending on the siding you choose it can provide solid weather resistance, additional energy efficiency and durability. 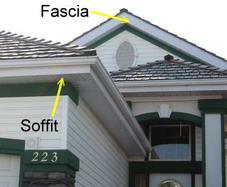 We also install complete exterior improvement systems including siding, soffit, fascia and gutters. Red Arrow Corp. is driven by quality and customer satisfaction! Red Arrow Construction Division has continues to work with both small and large sized residential and commercial construction projects. Equipped with experience, professionalism and integrity we continue to bring satisfaction to our customers. Red Arrow Corp. is dedicated to making sure that we bring the best and most affordable construction workmanship!